Measurements: 4 1/4" Diameter x 3/8". Hole 35mm. 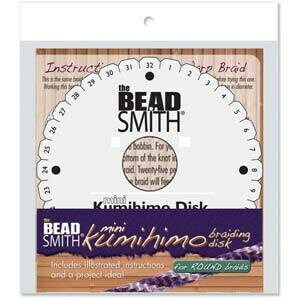 Characteristics: Dense foam disk used for the Japanesse braiding art of Kumihimo.